Foodie Flavours growing range of Natural Flavouring is manufactured in the UK, and can be used to flavour a wide variety of food and drink. 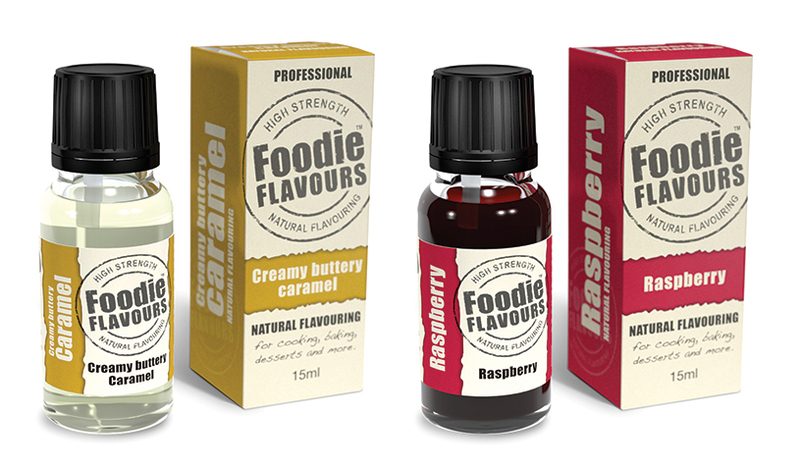 Foodie Flavours growing range of Natural Flavouring is manufactured in the UK, and can be used to flavour a wide variety of food and drink. All of their natural, sugar-free flavours are suitable for vegetarians and vegans as well as being gluten free, egg free and dairy free. Perfect for cooking, baking, desserts, drinks and more! What flavours does their range include? For more information, please visit www.foodieflavours.com. You can also find them on Twitter. To be in with a chance of winning, simply sign up to our newsletter using the form above. By entering your details, you will automatically be added to the Vegan Food & Living email newsletter mailing lists, keeping you informed of news, special offers and promotions via email. If you opt-in to receive emails from Foodie Flavours, you will also be added to their mailing list. Anthem Publishing will not pass on customer email addresses to other companies. You may unsubscribe from these messages at any time. The editor’s decision is final. The competition is open to UK residents only. Winners will have five days to claim their prize before it is passed on to the runner up. Please note, the hamper cannot be delivered on a Saturday, Sunday or Monday. Closing date: 17 July 2017.